Raphael Paints the "Mond Crucifixion"
The Mond Crucifixion (or Crocifissione Gavari; both names are after former owners) is a painting by the Italian renaissance artist Raphael. 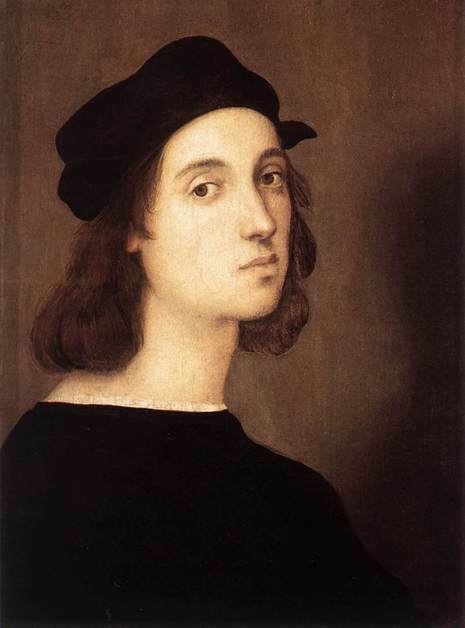 An early work influenced by Perugino, it was originally an altarpiece in the church of San Domenico in Città di Castello, near Raphael's hometown of Urbino. 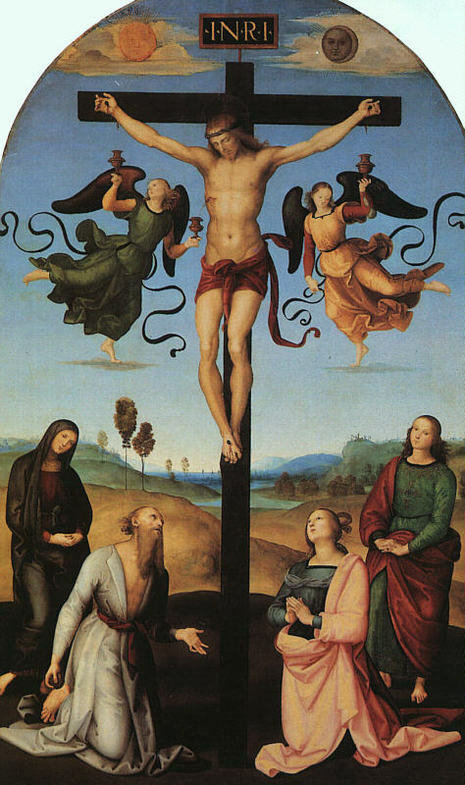 The painting shows Jesus on the cross, who is looking peaceful even though he is dying. There are two angels catching his blood in chalices. On the right of Jesus kneels Mary Magdalene, with John the Evangelist standing behind her. On his left Mary (mother of Jesus) stands, and St. Jerome, to whom the altar was dedicated, is kneeling. At the foot of the cross is the inscription RAPHAEL/ VRBIN / AS /.P. [INXIT] ("Raphael of Urbino painted this") in silver letters. The painting was bequeathed to the National Gallery by Ludwig Mond.